ML: St Barts was unfortunately not spared the wrath of hurricane Irma. What was that like for you to be in Monaco preparing for the Yacht Show at the time, knowing the island so well and what your friends were facing? BD: It was very hard to watch the hurricane batter the island I love. Stelios and I often met to watch the hurricanes approach and attempt do damage assessment as well as obtain any bits of news we could that ensured the safety of family and friends. Being away from the devastation in St Barts was not nearly as hard, I can imagine, as actually being there, but the desire to help was strong. And Stelios acted quickly, taking advantage of the resources in Monaco, in order to immediately start a relief fund for victims of hurricane Irma. The fund has raised over €150,000 and has already allotted €20,000 on desperately needed items like generators and tarps, tools and supplies. We are continuing to raise money and working with other funds and people on the island in order to maximize effectiveness of the effort to protect and rebuild for the inhabitants of St Barts. 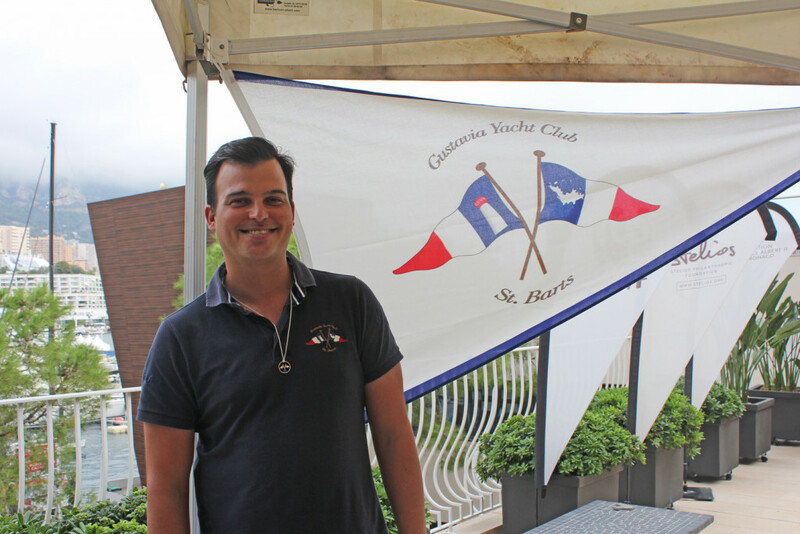 ML: It’s been nearly a year since Gustavia Yacht Club had a stand at the Monaco Yacht Show, with the official club opening following two months later. Tell us how the club has evolved. BD: The Club started as an idea when, talking with friends, Sir Stelios Haji-Ioannou said that St Barts was missing something, and a proper yacht club like the one in Monaco would fit in very well. From that initial conversation, Stelios began putting the ball in motion. He was able to secure a booth at the Monaco Yacht Show where his staff collected 100 memberships, both during and immediately following that event. As the word spread, membership fast approached the 200 mark before the end of 2016. Meanwhile Clubhouse facilities were taken care of by Stelios’ assistants and by the end of January, with membership around 220, I was hired as club manager as they were needed to help with his philanthropic association. Soon after, a boutique manager was brought on to help with the Club’s growing boutique business, which included embroidered polos, caps, plaques and various other items that members could purchase. Various brands – in no particular order, Veuve Cliquot/Segeco, IYC, Chateau d’Esclans (producer of Whispering Angel), Jamis bicycles, Boutsen Design, and Sibarth – came on board to sponsor the club’s exclusive niche market. On the island of St Barts, various businesses wanted to offer rates exclusively to members, which members do use on a regular basis, ranging from deals with restaurants, hotels, masseuses, and artists who donate back to the club when members buy paintings. ML: What is the vision of GYC? BD: GYC’s current vision is to be a positive presence on the island of St Barts. A group of like-minded individuals who want to create a small community within a community in order to work together to make the island a better place for its residents and visitors through sponsored events, eventually regattas and various philanthropic endeavours. In the beginning there was scepticism from onlookers as to whether the Club would last, but as the membership continues to grow and as the Club has been able to raise funds for disaster relief following hurricane Irma, the doubts have been cast aside. ML: What is your role as Club Manager? BD: I serve a multifaceted roll of host, bartender, boutique, manager, salesman, concierge and membership office with the help from Stelios and his assistants, as well as the staff in the Club, which fluctuates through the year as the season swells and deflates. Currently we are two official Gustavia Yacht Club Staff on payroll. ML: What type of events does GYC host at the clubhouse and in St Barts across the year? BD: We host lectures with professional sailors such as Philippe Poupon and Alvaro de Marichalar and we have exclusive concerts in luxurious villas for 50 members and their guests. There are sailing excursions for viewing the various regattas on the island. And we throw events abroad, like cocktails during the Monaco GP which our Commodore hosts at his home in Monaco, and cocktail parties at the Royal Bermuda Yacht Club during the Americas Cup. ML: What is GYC’s off-season events in Monaco? BD: In addition to the Monaco Grand Prix cocktail, we have a booth during the Monaco Classic Week and also during the Monaco Yacht show, a soirée on a yacht in Cannes for the opening of the Cannes Yacht Show and a member mixer at the Voiles de St-Tropez. ML: Tell us about some of the international initiatives of GYC. BD: Despite the fact that our yacht club was only created in 2016, we have already formed informal reciprocal arrangements with several other yacht clubs around the world, which includes Anguilla Yacht Club, Antigua Yacht Club, Barbados Yacht Club, Chicago Yacht Club, Corinthian Yacht Club of Philadelphia, Corinthian Yacht Club of San Francisco, Royal Bermuda Yacht Club, Manhattan Yacht Club and the Sint-Maartin Yacht Club. 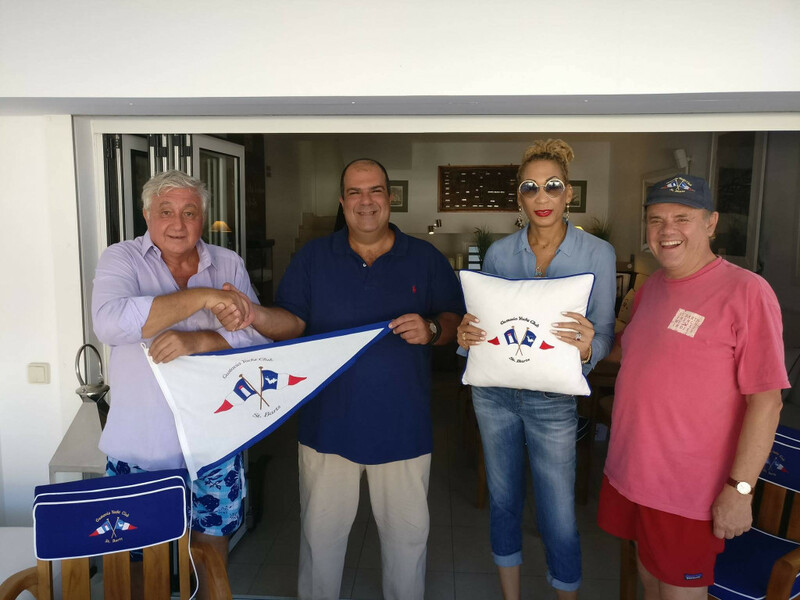 The current agreement is that each of the yacht clubs above can introduce one of their members to Gustavia Yacht Club when they are visiting the island of St Barts. We are happy to welcome such members to our Clubhouse for one visit per year per member, lasting no more than two weeks. We expect to be able to introduce our own members to the same yacht clubs when they are visiting those places on the same terms. As the Clubhouse of the Gustavia Yacht Club offers a complimentary bar/lounge to members and their guests, we expect visiting members from other clubs to be able to use the members Lounge deck also for free. They can make purchases at the Boutique and reserve our board rooms for private dinners at cost. ML: Monaco and St Barts are both wealthy and small populations but how do they differ? BD: Having only been in Monaco for a short while, I don’t feel I can fairly answer this question. My initial feeling is that St Barts is a Caribbean island with a much more laid back vibe and Monaco is more of a small big city with all the comforts of being in the mainland. 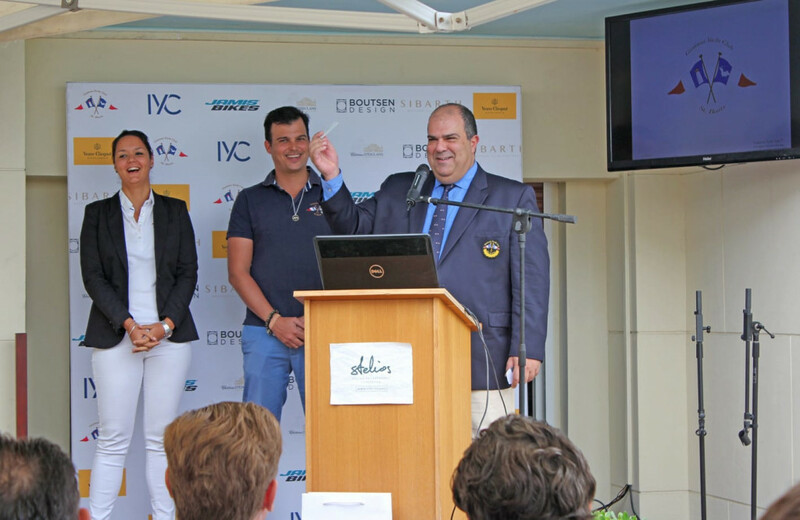 ML: What can we expect from the Gustavia Yacht Club at the 2017 Monaco Yacht Show? BD: We’ll be located on the Lucciana jetty, and raising money for our Irma relief fund, and accepting new members. Also, we’ll be offering a place for current members to gather and share stories as some of them might not have seen each other since last in St Barts. ML: How would someone go about becoming a member or partner of GYC? BD: In order to become a member, find us at either the Monaco Yacht Show or in St Barts. Or send an email with your inquiries and myself or the rest of the team including Stelios will help find a way. Article first published in Monaco Life September 28, 2017.